The best proof that America is becoming a godless society is not declining church attendance, but idle chatter on the sidelines at youth soccer games. There, parents know not to criticize the referees or the coaches, but they freely employ a phrase that is offensive to people of faith. The phrase, once avoided like the f-word, has become a casual, throw-away exclamatory, invading the culture like so much kudzu and choking out the last gasping shoots of reverence. Its use violates the Third Commandment — “thou shall not take the name of the Lord thy God in vain” — and moreover, some vague sense of dignity. Queen Elizabeth? She probably doesn’t say it. The Kardashians among us? Every other sentence. As children, most baby boomers were schooled not to say, “Oh my God.” Some of us weren’t even allowed to say “oh my gosh,” because “gosh” is transparently a substitute for “God.” Even today, there are pockets of America where children aren’t allowed to say “jeez” because it’s a derivative of “Jesus,” and where Orthodox Jews don’t write all the letters of “God” out of reverence and respect. In these circles, “Oh my God” is at least as vulgar as David Ortiz dropping the f-bomb at Fenway. Not so, says a Massachusetts researcher who’s been studying salty language for more than 40 years. Timothy Jay teaches psychology at the Massachusetts College of Liberal Arts in North Adams and is the author of “Why We Curse” and two other books on cursing. Jay still considers “Oh my God” a swear, although its impact has dramatically declined over the years. But — feminists take note — it’s an epithet employed mainly by women, a chick curse, if you will, which may explain its disturbing ascent among children. Boys and girls both use the phrase until age 7 or 8, Jay says; after that, the boys tend to use expletives that represent copulation and excrement. Immersed in hard-core language in his studies, Jay himself takes no offense at “OMG,” which has been traced to a telegram sent to Winston Churchill in 1917. “I hear that a new order of Knighthood is on the tapis. O.M.G. (Oh! My God! )” it read. “This is how women and children emote without using offensive language,” Jay told me. Some of us disagree. 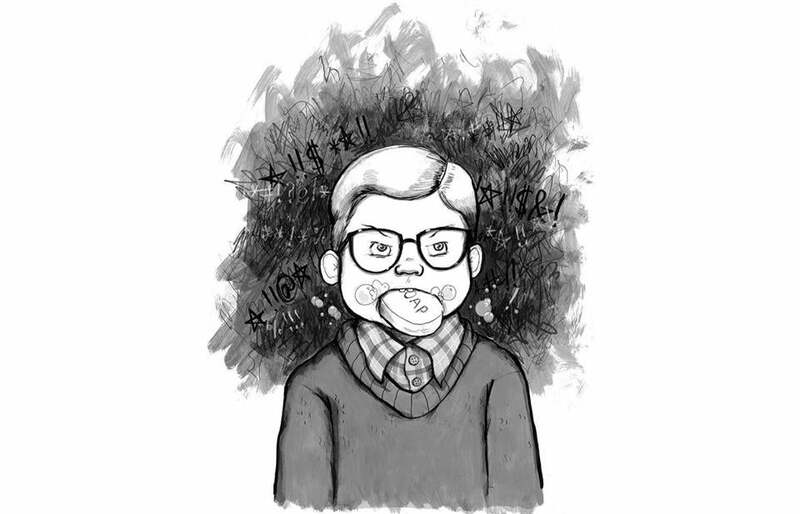 But Jay’s latest study, coauthored with his wife, Kristin, is coming out in the winter edition of the American Journal of Psychology, and it’s on cursing in children from ages 1 through 12. Americans are culturally reluctant to admit that preschoolers know and use expletives, Jay said, but in “the children’s garden of curses” — the name of the Jays’ study — “OMG” is but a frail seedling. If it’s the worst thing our kids are saying, they’re the Puritans of the playground. And admittedly, the nations that prosecute blasphemy are all places I don’t want to live (no matter how lovely Pakistan may be). But I do want to live in a place that is respectful of other people’s beliefs, even when those beliefs include God, and the antiquated notion that a certain reverence and restraint is due the sacred. Reviving that notion sometimes may need to involve soap. Jennifer Graham lives in Hopkinton. Her column appears regularly in the Globe.